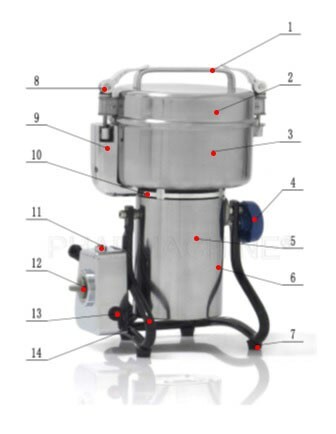 Automatic Herbs Grinder Machine also names Powder Milling Machine. Adopts top grade motor, mental fan blades, high rotating speed and high power makes the working life longer, can continue working for half an hour. 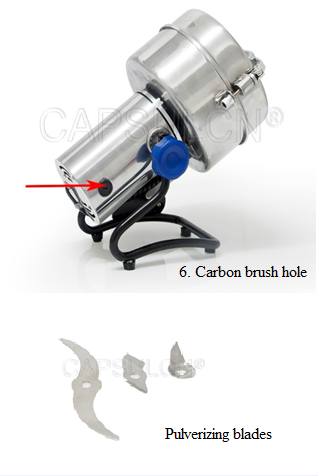 It combines the functions of mini-mill pulverizer and grinder. It is used for milling all kinds of dry materials like herb, Chinese herbal medicine, spices, grains, beans, peanuts, pearls and even the stone. The machine is suitable for processing and small batch production of materials in Chinese and Western medicine, food industry, chemical industry, scientific research institutions and other fields. It can also be used for medical research, cosmetics, internal medicine, surgery, ophthalmology and dermatology medicine. High fineness and high speed – Driven by a motor, which ensure the fineness and speed. the pulverizing steels of the machine rotate at a high speed and pulverize materials by the impact and cutting among materials. Small in size, light in weight, compact in structure – no vibration, so there is no need to fix the machine, which means that the machine can be used in any occasion. Good safety performance, no dust, low loss, easy to clean – the pulverizing chamber of the machine is made of stainless steel and is full sealed structure. Wide application – be suitable for pulverizing plant fiber and materials of high hardness and high toughness, such as Chinese medicine, inorganic materials, minerals etc. 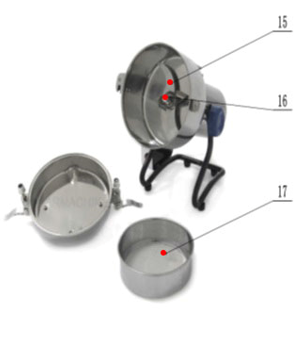 Easy to operate -- can be turned on and off at any time, and the powder fineness can be controlled by operation time. Safety switch – to ensure the operation safety. Overload protector-- to prevent circuit from overloading and overheating.